The Hamerkop (Scopus umbretta) is more than one in a million, its unique in the avian or bird world due to its extraordinary physical characteristics. The direct Afrikaans translation is Hamer (hammer) kop (head) and its not difficult to see why this bird is named as such with its 'hammer' like head, long bill an crest. Feeding on amphibians like frog's, fish, shrimp and most aquatic insects as you would expect for one that lives its life in the 'wetland' areas. 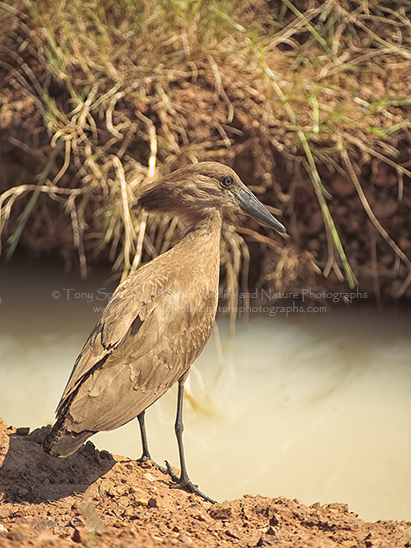 The Hamerkop is a drab brown medium sized bird about 56 centimetres (22 in) in length and found in all in Sub-Saharan Africa, Madagascar and South West on the Arabian Peninsula like rivers, dams and streams where it lives a sedentary life. One of the most interesting and quite frankly outrageous aspects of a Hamerkop's life is its breeding and nest building habits. Quite frankly this birds loves building nests, they build nests even though they are not breeding and what a nest considering the size of these birds. 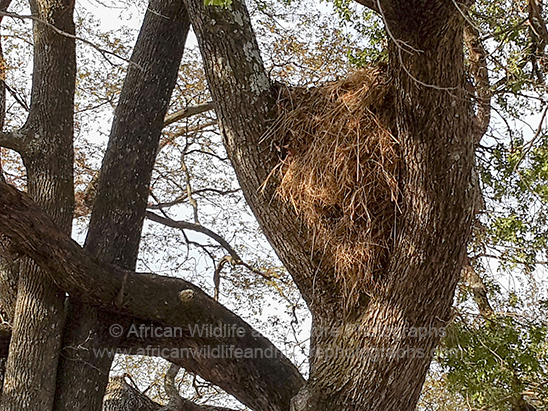 Usually built in the 'fork' of a tree over looking the water these Hamerkop nests are quite spectacular in size with nest easily reaching 1.5 meters (5ft) in size. Made from thousands of sticks and mud the Hamerkop builds its nest with a bottom entry which can be quite long which the parents can pass up into the nest and stay with the young.